How to Update Studio Gradle plugin to fresh released version to include latest features. Android Studio is the official IDE ( Integrated Development Environment ) for android application development comes with all files and software required to build android apps into a single download link. 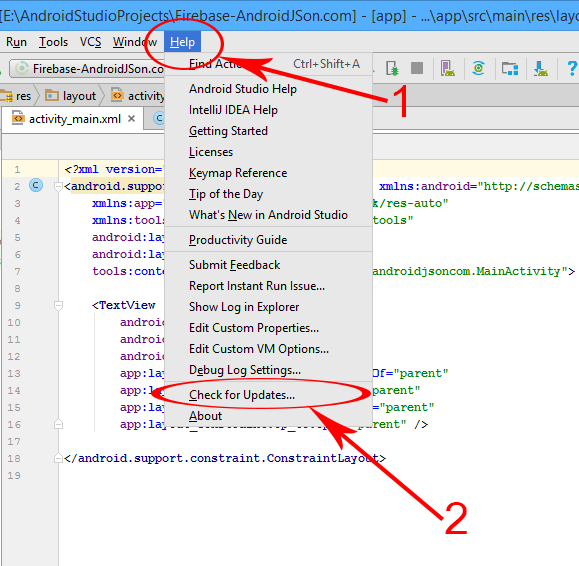 You can download the latest fresh Android Studio version from Google Developers official website From Here. Android Studio comes with build in SDK Manger so you don’t need to download the SDK Manger externally. So here is the complete step by step tutorial for Manually Update Android Studio Old Version to Latest Upcoming Fresh Version Tutorial. List of All Android Studio updates Till April 19th, 2017. 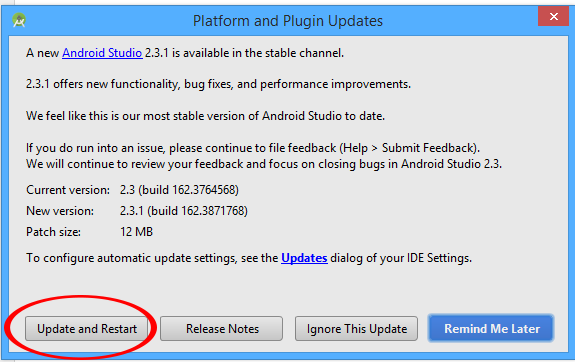 How to Manually Update Android Studio Old Version to Latest Upcoming Fresh Version Tutorial. 2. Click on Help -> Check For Updates . 3. After click on Check For Updates it will start checking whether a new update is available or not . If new update is available then update notification message will show on your desktop screen. Now just click on Update and Restart button. Here you go now your studio update should start downloading .